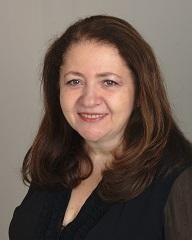 Rimma is a Licensed Marriage and Family Therapist, who obtained her Master’s degree from Fairfield University, and is licensed in Connecticut and New York. As part of post-graduate training, Rimma completed an Externship in Emotionally Focused Therapy for couples (EFT), facilitates for Prepare/Enrich program designed to help couples explore and strengthen their relationships, completed a workshop in Expanding Sexual Frames in Theory and Practice in Couples Therapy, obtained training in Cognitive Behavioral Therapy (CBT), and had facilitated for PEP classes (Parenting Education Program) for CT Judicial Branch. Rimma works with a diverse population of individuals, couples and families, to help them overcome struggles over personal issues, as well as relational and family challenges. Rimma is passionate about working with pre-marital or newly married couples, as well as with couples dealing with separation and divorce. Rimma enjoys helping parents obtain comfort and confidence with their parenting skills and addressing co-parenting concerns for separated parents, as well as working with blended families. Rimma also has first-hand experience of raising multiples, and enjoys working with parents encountering unique challenges that come from raising multiples. Rimma is in network with Anthem and Blue Cross/Blue Shield plans, Aetna, and Medicaid (all Husky plans.) Rimma works with clients to submit for out of network benefits as well when possible. Rimma can be reached at (203) 220-6595, extension 514 and rimma@collaborativect.com.